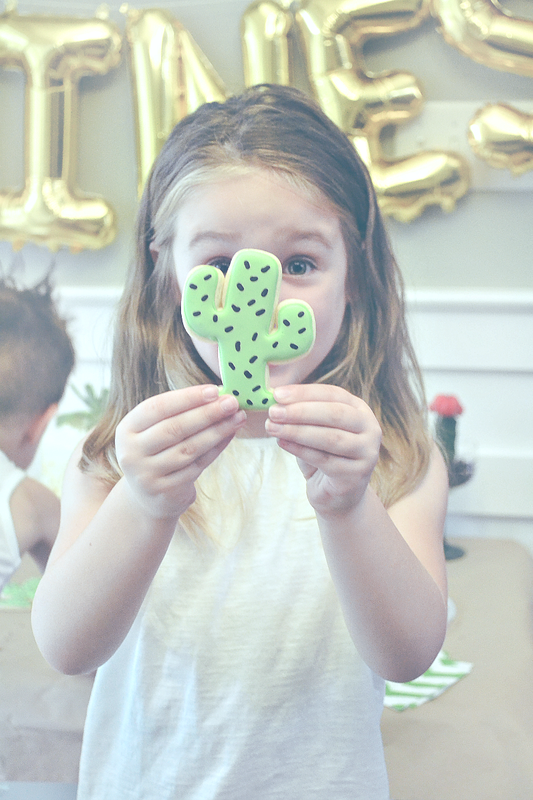 Fawn Over Baby: Cactus Theme Birthday Party: Haines Turns Two! 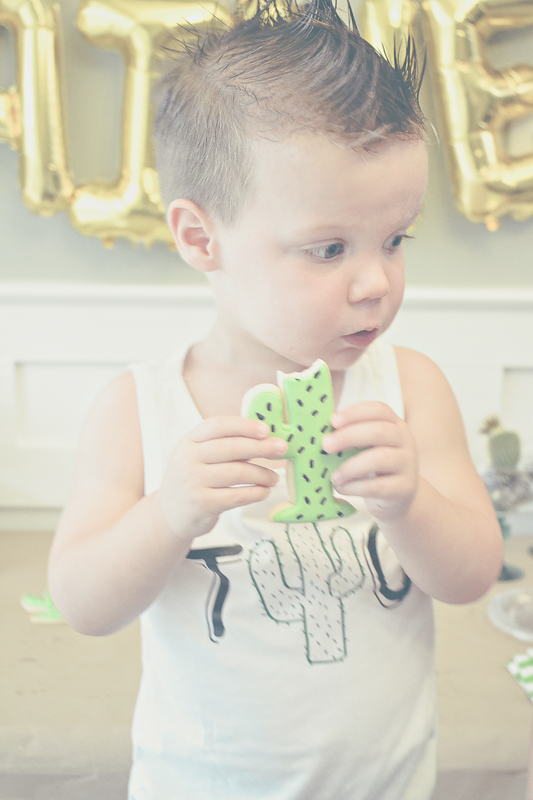 Cactus Theme Birthday Party: Haines Turns Two! 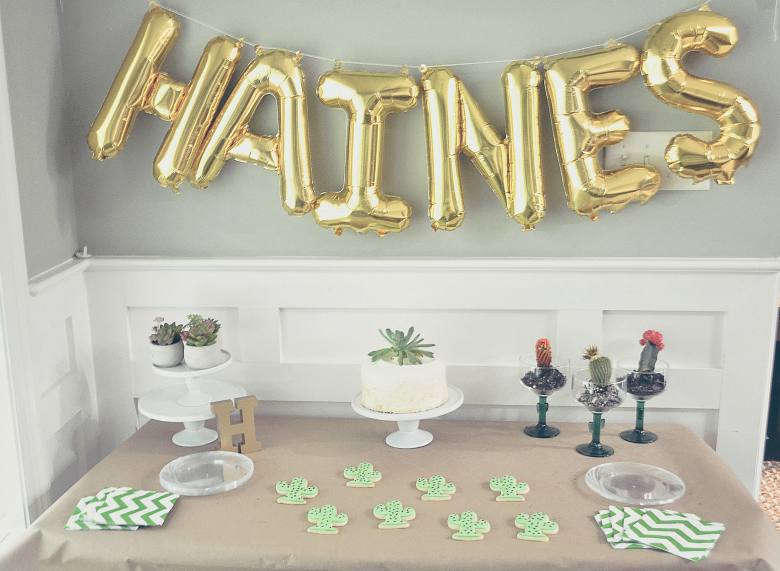 So I am a tad late on posting this sweet little cactus party we put together last minute for our lil man, Haines. 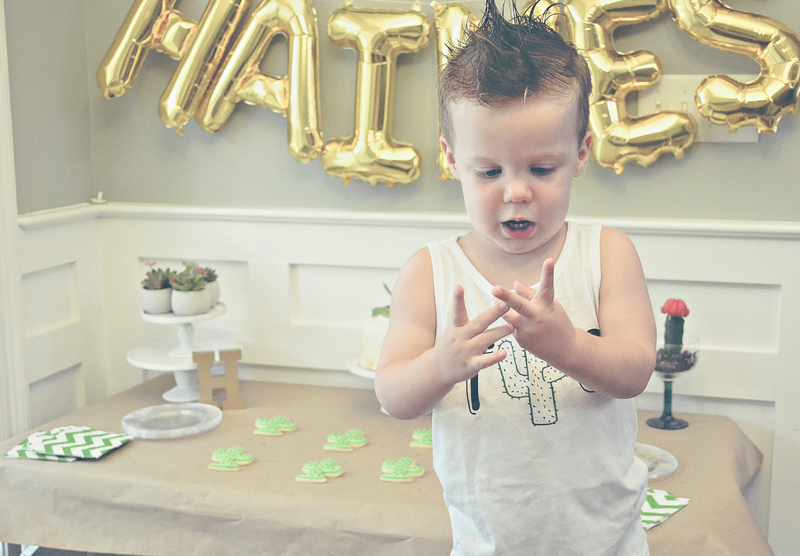 Our precious baby boy turned two on September 11th. 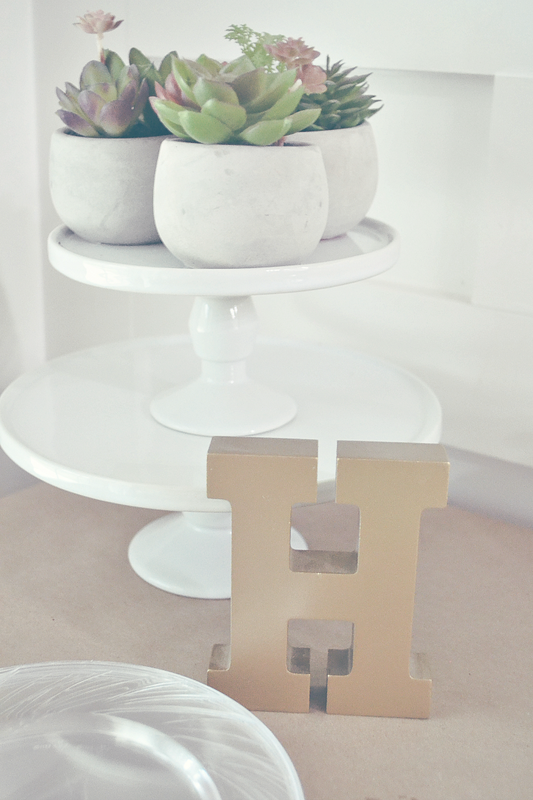 This particular week was a little hectic to say the least. My hometown of Houston, Tx just had a hurricane push through causing much devastation to the homes of friends and family members of mine. 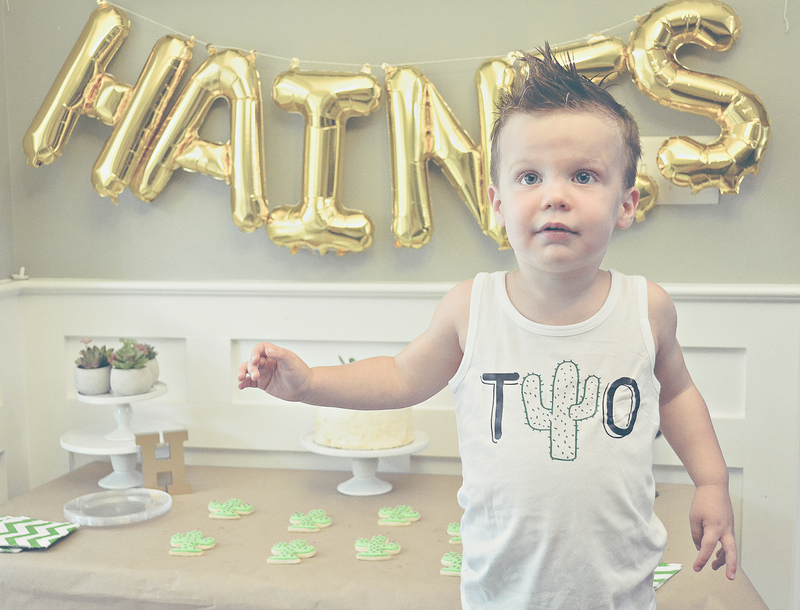 Fast forward to this week, we received news that a Cat 5 Hurricane was headed in our direction and would reach our house here in south Georgia as a Cat 3 on Haines's Birthday. 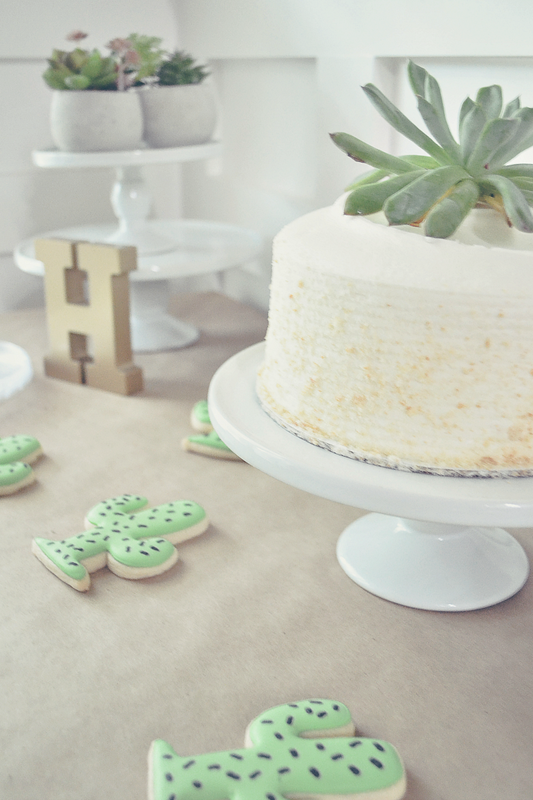 Needless to say my nerves were a little on edge, however I still made it our mission to celebrate our little man. 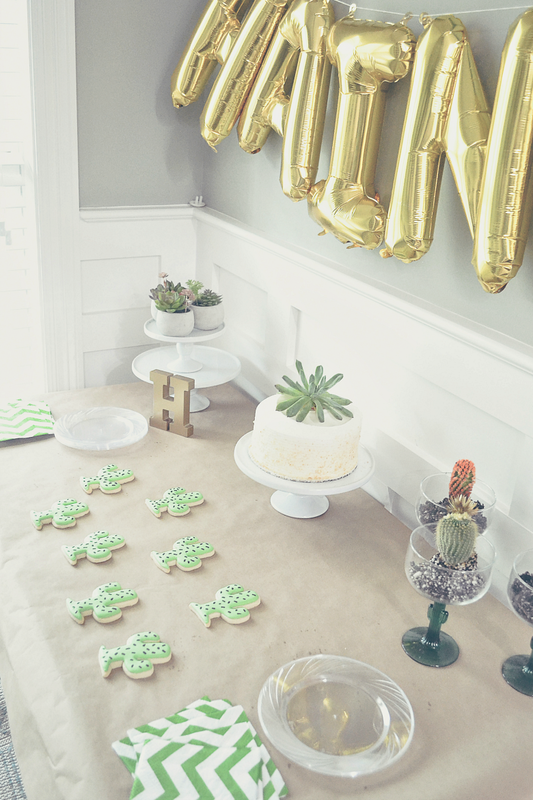 Thankfully I ordered these letter balloons ahead of time not sure exactly what our planes would be but I'm so glad I did. 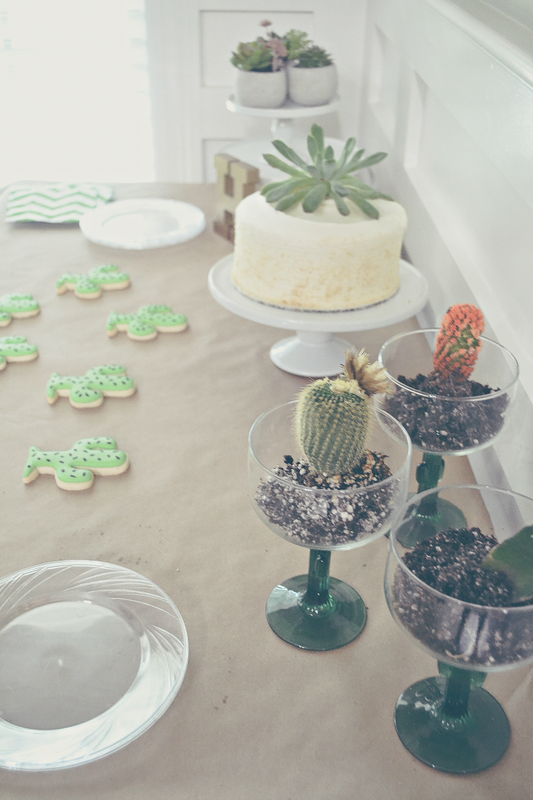 A few days prior I began looking around the house to find a way to make what we had laying around work as decoration because plans of a big shindig were out of the question at this point. 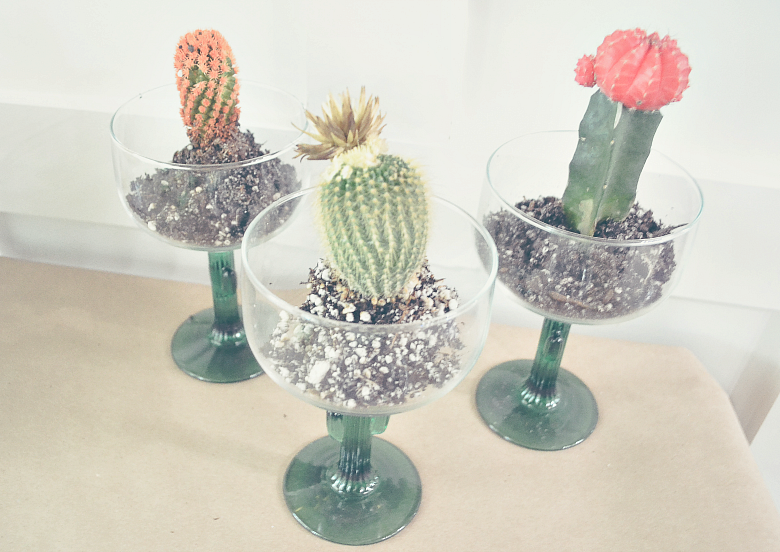 I came up with the idea of a little Cactus/fiesta theme using the mini succulent plants I had more that I remember scattered around. 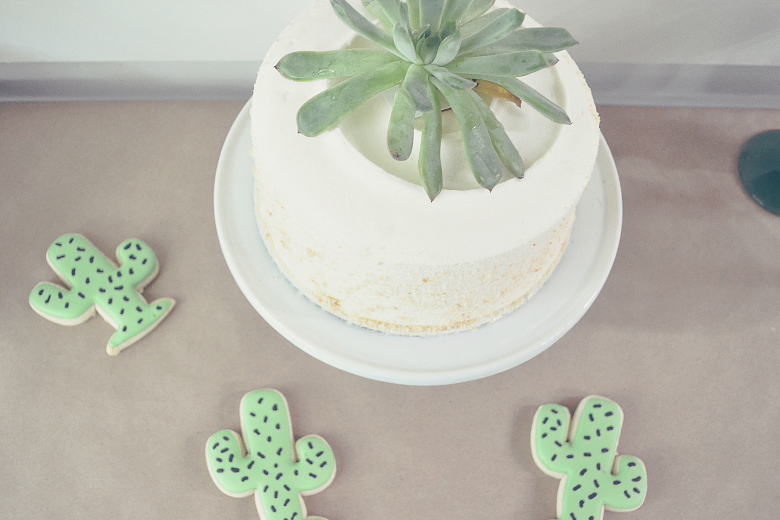 So I made a quick call to our local cookie master with my fingers crossed, that she would be able to throw together a dozen cactus theme cookies. 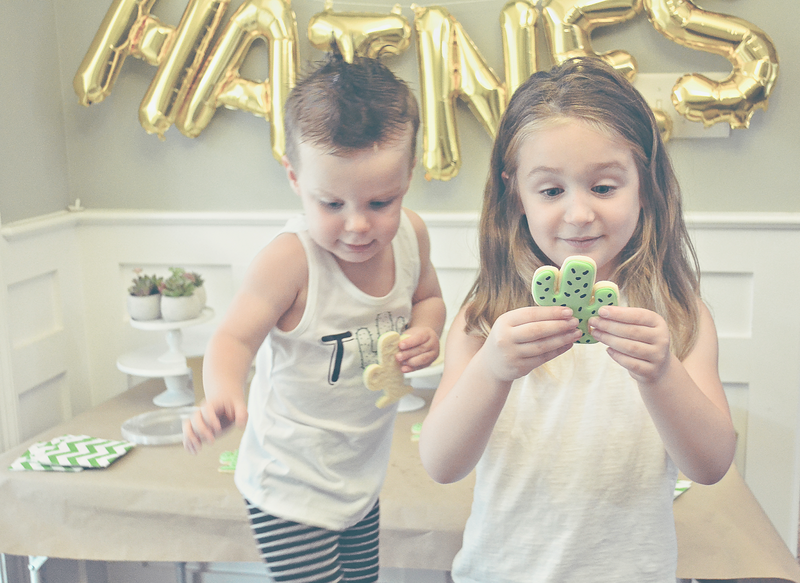 To my surprise she did and they were ready right on time. 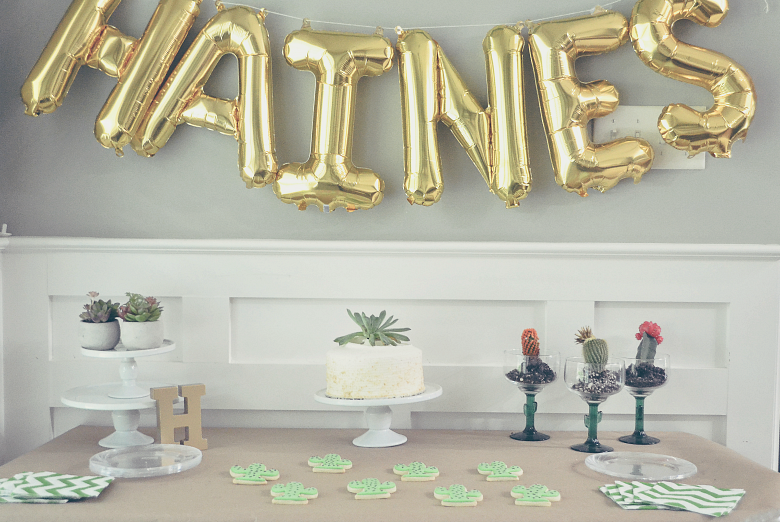 I purchase a pre-made vanilla cake from our Publix bakery, hung up Haines's name in balloons and set up a little table using succulents that I put inside a few cactus glasses from the Dollar Store, a birthday cake and cookies for display. 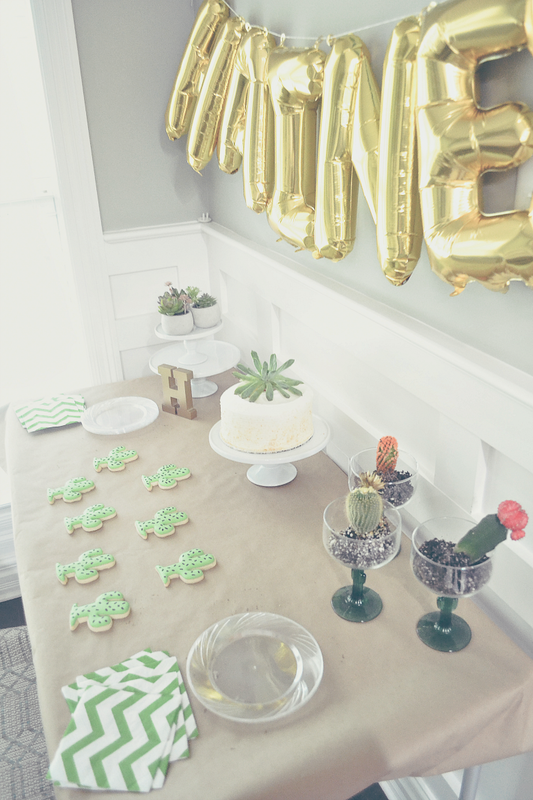 Viola, our Pre-Hurricane Birthday Party went off without a hitch! You would have never known that we had a pretty scary storm scheduled to touch down the next day. It was the perfect distraction for this mama though since I couldn't keep my eyes, worry and fears off of the weather channel! 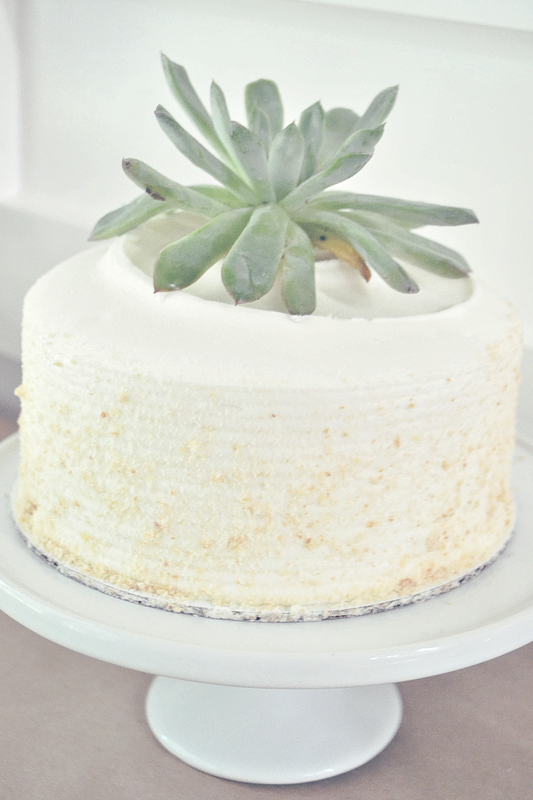 Luckily by the time the storm hit us, it was reduced to a tropical storm and we kept our power the entire time. 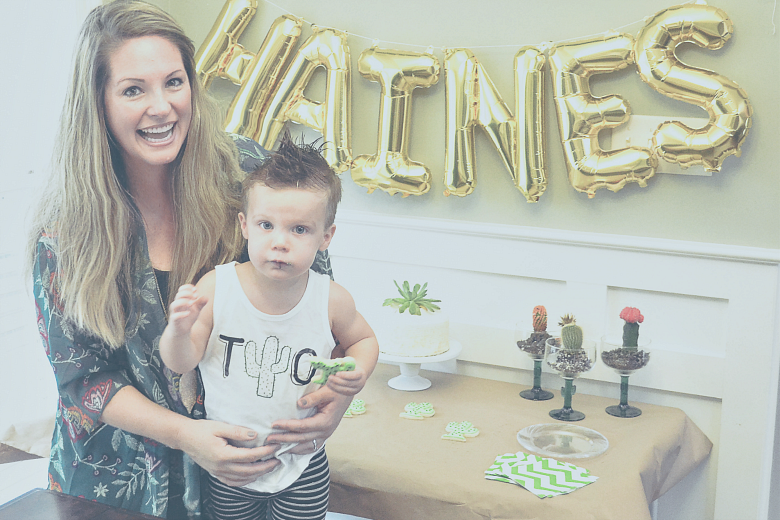 As I look back on these photos, it brings such a sweet memory of us spending time as a family together celebrating Haines and the precious little people that GOD has blessed Ryan and I with. 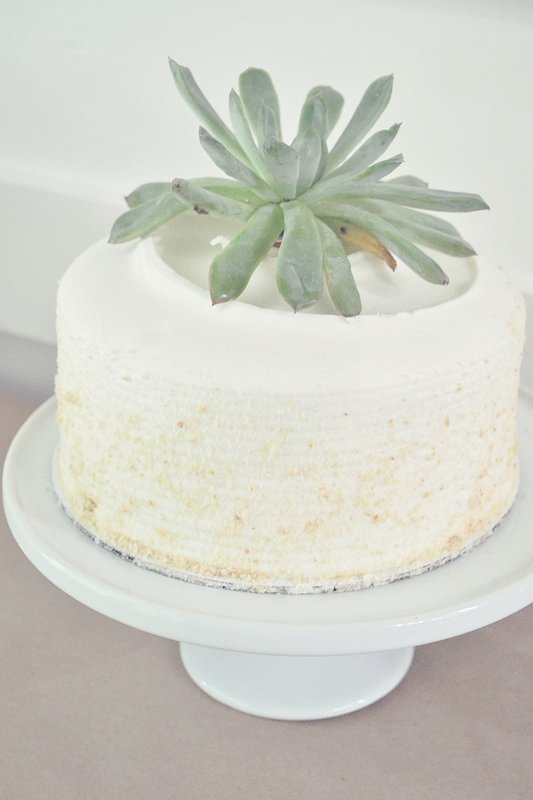 Even in the middle of fear, worry and chaos that was going on during this time, I just know that GOD was here to calm our nerves (well mine mostly) and provide us with a beautiful way to slow down and spend time together as a family while we celebrated the gift He gave us just two years ago.